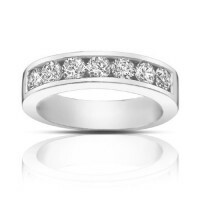 Our Selection of Mens Diamond Wedding Bands is unmatched in diamond quality and elegance. 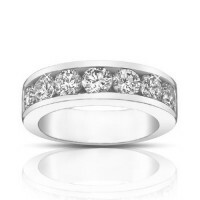 We have hand crafted a fine assortment of classy and timeless diamond wedding bands for men. 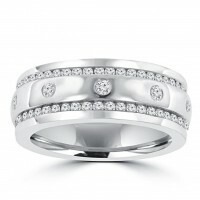 Shopping online for mens diamond wedding rings has been simplified with our filtered navigation options. 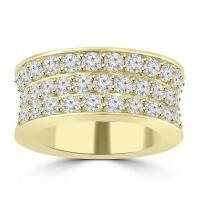 This feature allows you to view diamond wedding bands for men available in yellow gold, white gold, or rose gold. 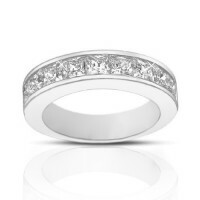 Along with your choice of gold and diamond color, you may also choose your preferred metal type such as 14k Gold, 18k Gold, and Platinum. 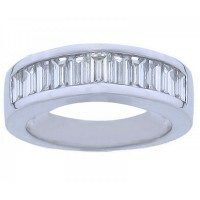 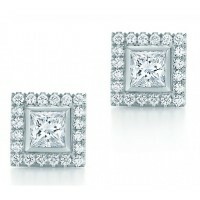 Madina Jewelers is the ultimate online diamond jewelry source for diamond wedding bands for men. 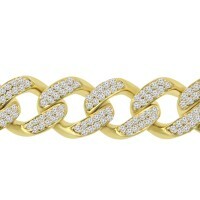 Featuring the soft, sweet beauty of 14 K white gold, this band is set with 2.00 ct. of shimmering ba..